Our American Independence Day is almost here, and many residents want to know where the best fireworks displays will be in the metro area. This is what I've found thus far; if you know of other events, email me and I'll be happy to add them to the list. Held at Shiloh Park, there will be a Bike Parade for kids ages 1-10. Registration begins at 6:00 p.m. The parade will start promptly at 6:45. The City of Brandon always puts on quality events, and this one is no exception. There will be prizes for the kids, bounce houses, games, and musical entertainment beginning at 7:30. The fireworks finale will start at 9:00 p.m. FREE to the public! July 1 - Ridgeland - American Balloon Glow - 6-10 p.m. at Northpark Mall. Live music by the country group Shenandoah and William Michael Morgan, from Vicksburg. FREE fireworks begin at 9:30 p.m. This is the Fifth Annual "dueling fireworks" show. 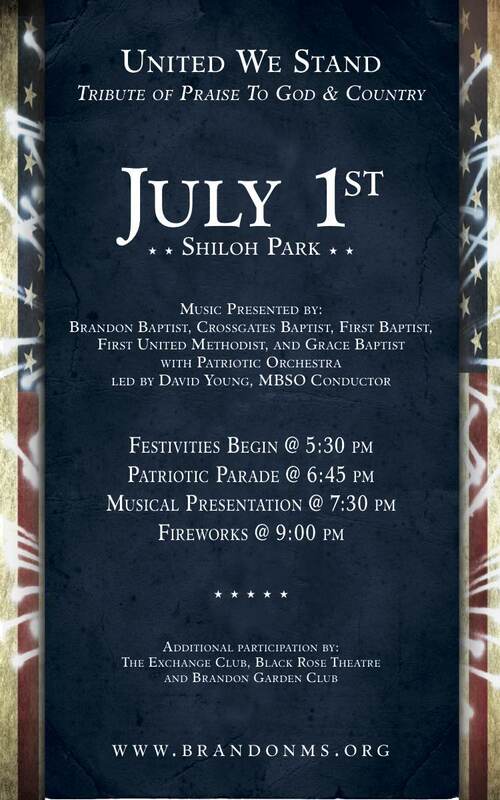 On the Ridgeland side of the reservoir, festivities will take place at Old Trace Park. On the Rankin County side, activities begin at 4 p.m. at Lakeshore Park, starting with the Classic Car Show. Food vendors will be on site at both locations. Admission is FREE at either location, but donations will be accepted at the gate. If following the M-Braves is your thing, there will be a spectacular fireworks display at Trustmark Park following the game on July 4th. Visit Ticketmaster for ticket information. July 4 - Madison the City - Liberty Park from 9-10 p.m. - No other information available at this time. Check the Madison MS website for updates.